Spend a minimum of RM50 at any outlet in HK Station @ 6th floor. Get a chance to dip for a fortune cookie. 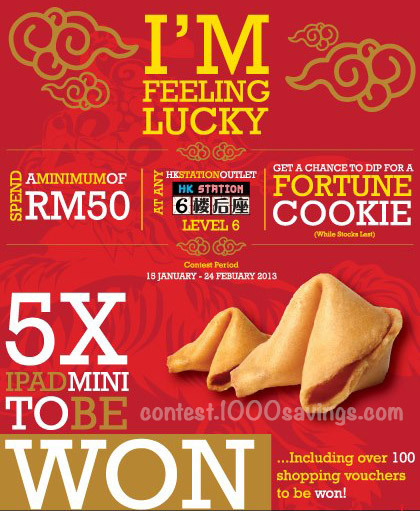 Visit Sungei Wang Plaza FB fanpage for more details.